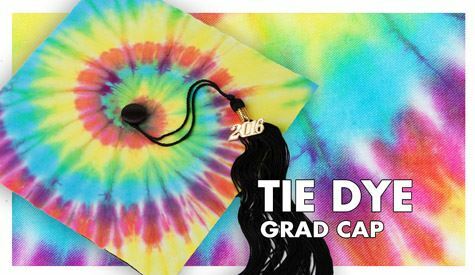 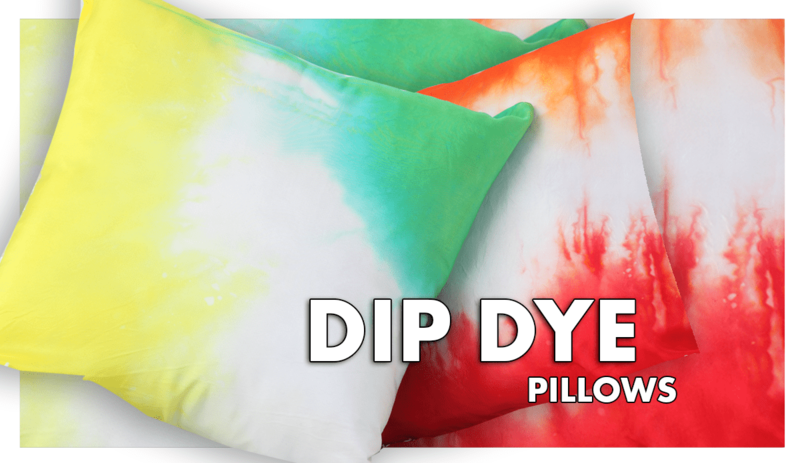 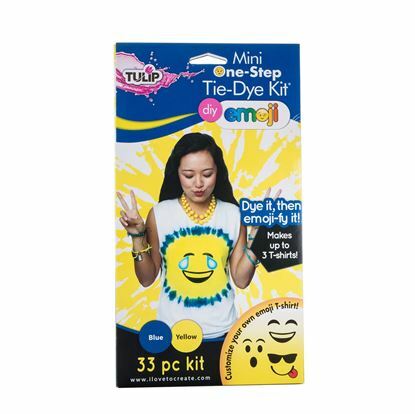 Select your favorite color Emoji Tie-Dye Kit, as well as a plate or other circular object and a washable marker. 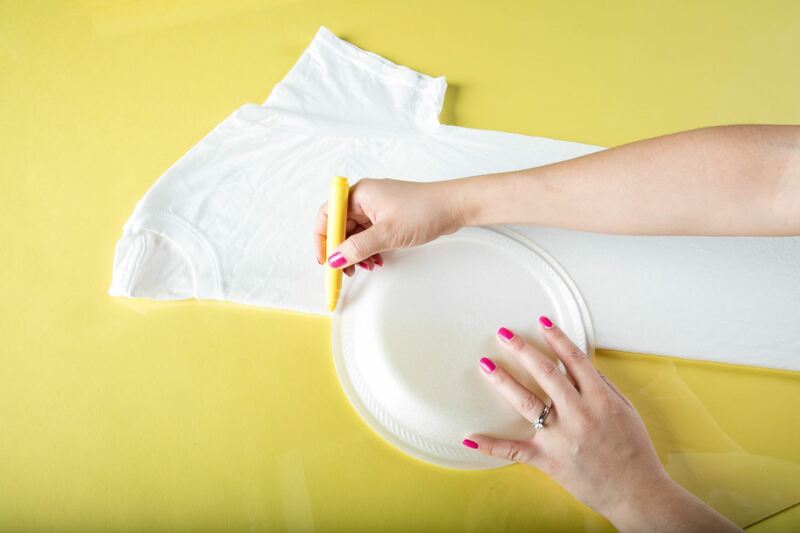 Dampen shirt and fold in half, with fold along center of shirt. 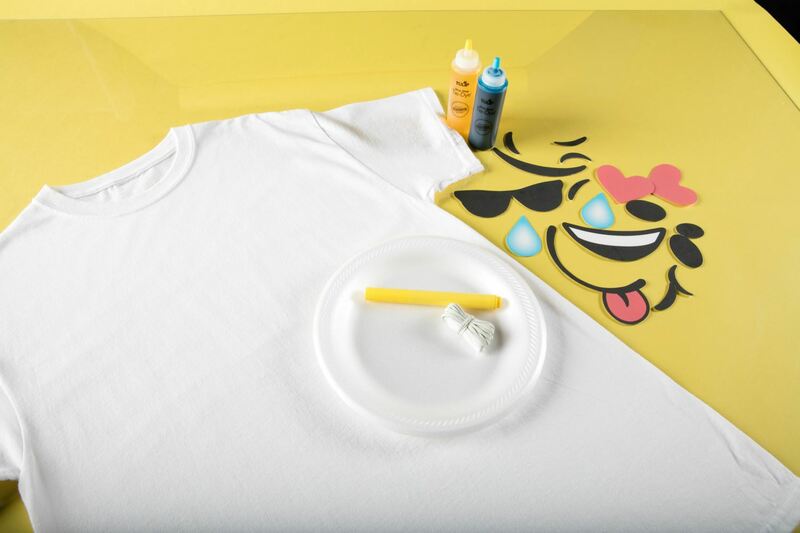 Place plate on shirt where you would like the emoji to be and trace with a washable marker. 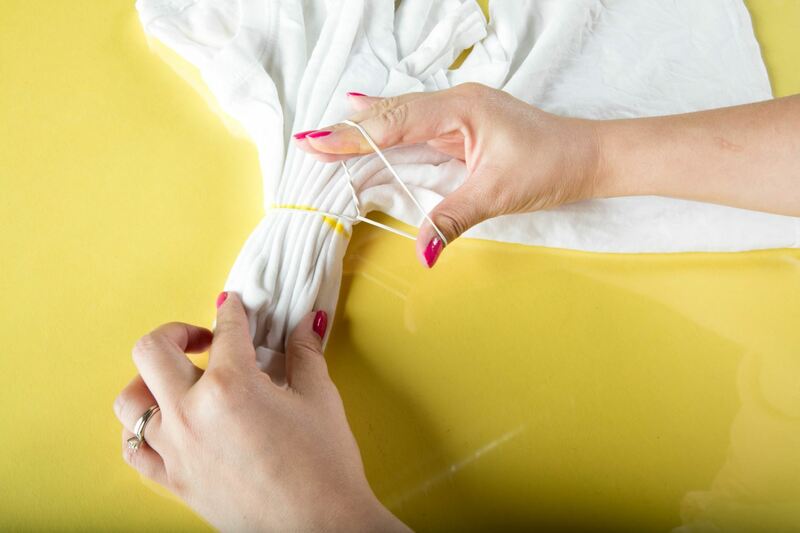 Pleat shirt along the marker line. 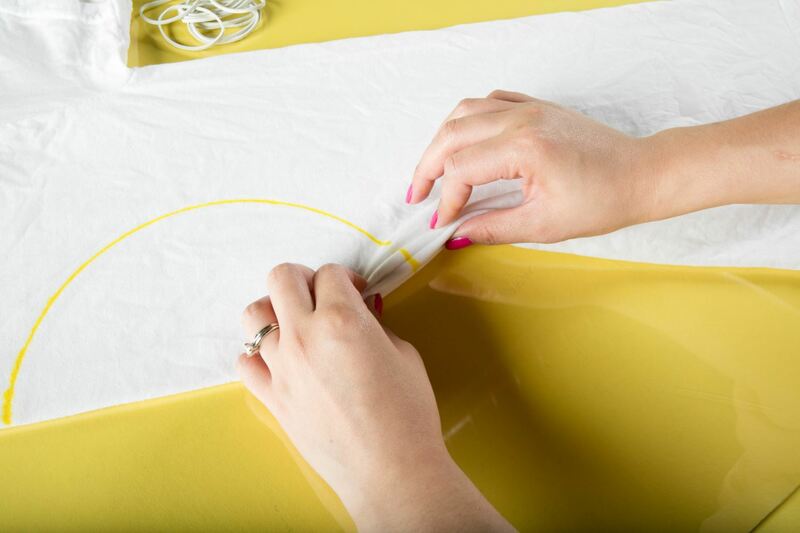 Wrap a rubber band tightly around pleated shirt at the marker line. 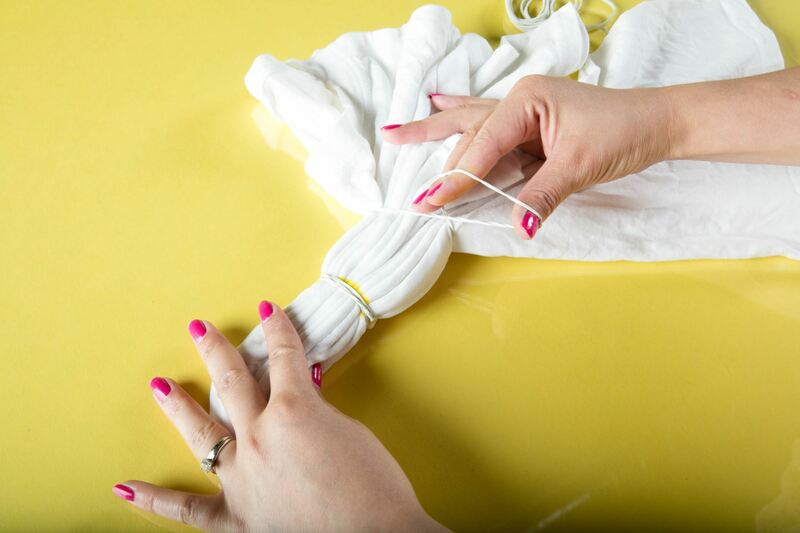 Wrap another rubber band around shirt about 2 inches below the first rubber band. 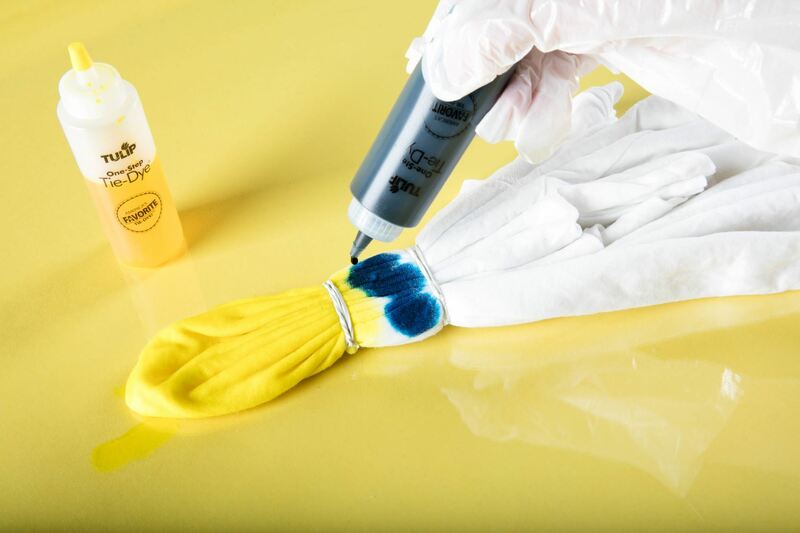 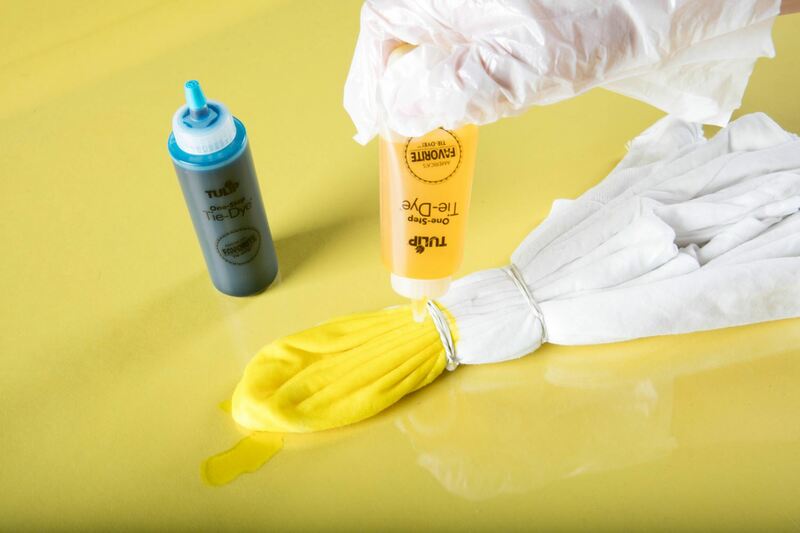 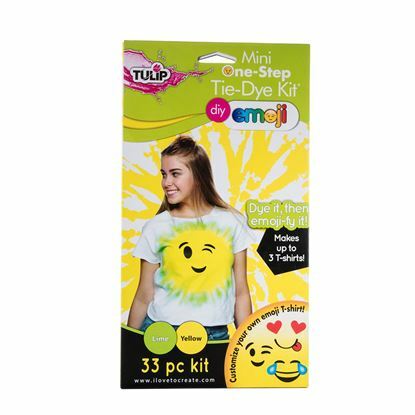 Add yellow dye to tip of bound shirt (this will be the emoji face). 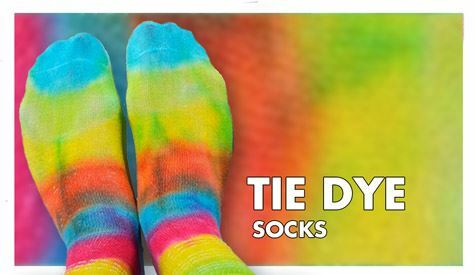 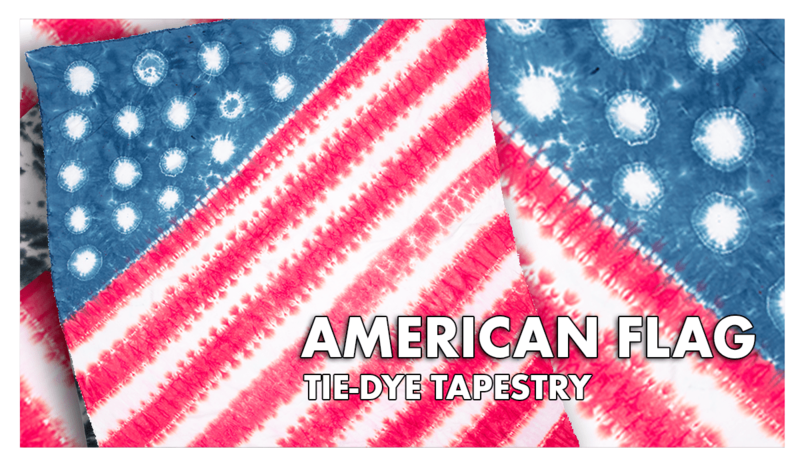 Add second dye color to next portion of shirt between rubber bands. 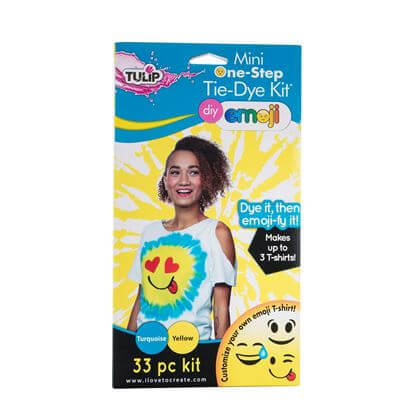 Wrap dyed shirt in plastic and let set 6 to 8 hours or longer. 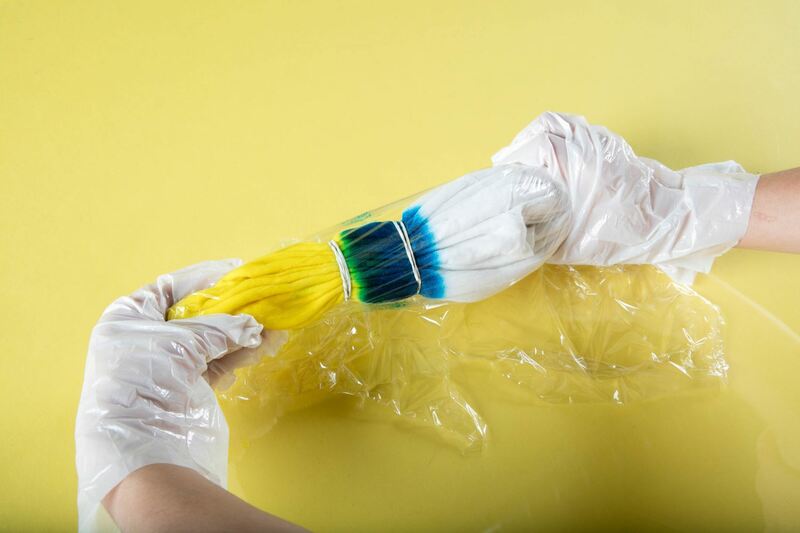 Launder according to package instructions. 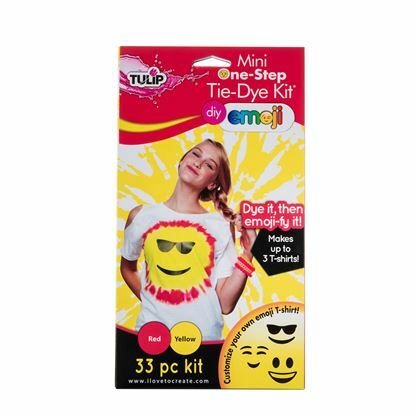 Iron facial expression pieces onto yellow portion according to package instructions. 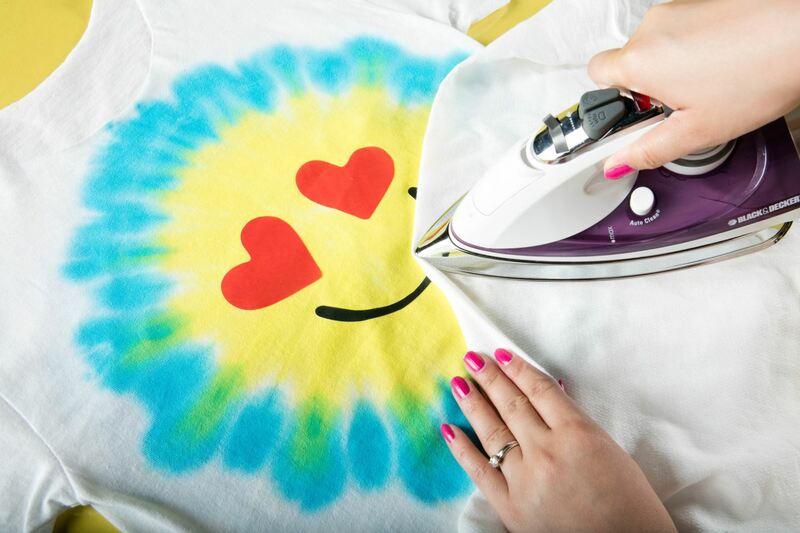 Get emojional over your fun new emoji tie-dye T-shirt!